Whew! I’m back people! 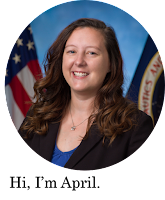 And I have a lot to share with you on being married, Diabetes on the wedding day, honeymooning (hey haven’t had one of those since I was diagnosed back in 1998, sorry Diabetes inside joke;-), rockets, romance, and Steak-n-Shake. But we will get to all that in time. Today, I would just like to share some of my favorite pictures of the event. For those who don’t know me in real life, I will give you a little background. Chris (now the “H”) and I met in the summer of 2007 while we were both counselors at Space Camp. As such, it probably comes as no surprise that we choose the US Space and Rocket Center for our reception. 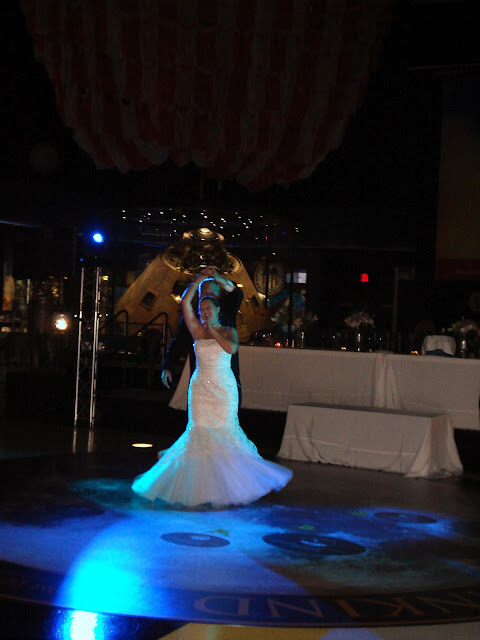 Yes people, we danced on the moon beneath man’s greatest rocket, the Saturn V. It was amazing, and if you knew us, it was nothing short of the perfect place to celebrate our marriage! And we used nerdy quotes like “I will love you to the moon and back” to round out the feel. We both felt comfortable knowing it was perfectly “us”, even if other people thought we were crazy! And I think everyone really had a good time. Hope you enjoy these pics, and I promise more wedding posts are coming, because I have a lot to tell you guys…mmkay? 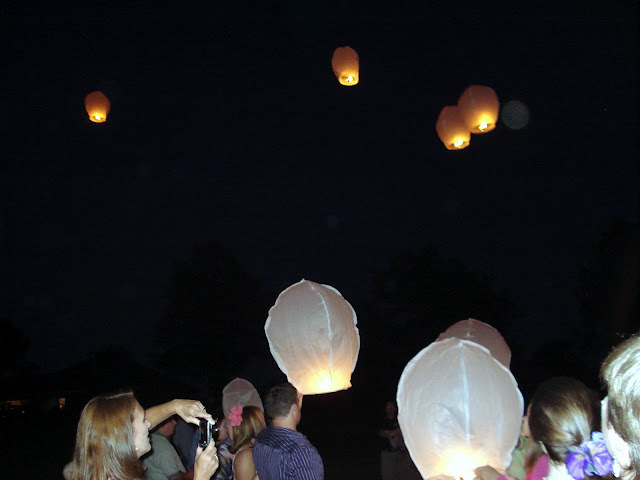 Our friends and family lit Chinese lanterns during the rehearsal dinner to wish us good luck! The surprise dip-kiss...as in, it was a surprise to me!!! Just a little birdseed, right?! A twirl during our first dance: "Fly me to the moon"
How many people can say they danced the night away on the moon with the Apollo 16 capsule in the background?! Well, at least two! Then....SCUBA?! I expect nothing less from this man!! Haha! My cute parents partying like it was 1999...my dad stole the show...ask anybody. Our last dance...Jack Johnson's "Better Together"
And the ever classy...Steak-n-Shake in the wedding clothes. Random guy in the parking lot, "Did ya'll just get married?" No. We just wear these for fun. Randomly. To Steak-n-Shake.